For friendship, one should be friendly. With no doubt one of the important conditions for everlasting friendship is establishing trust. A friendship with no trust is like a vehicle with no petrol, you may stay in it for as long as you want but it wouldn’t go forward. Good or bad family and friends had always been around, but the important point here might be how to keep the good ones. In my view, in order to keep good friends, one should invest in his/her relations with “Honesty”. 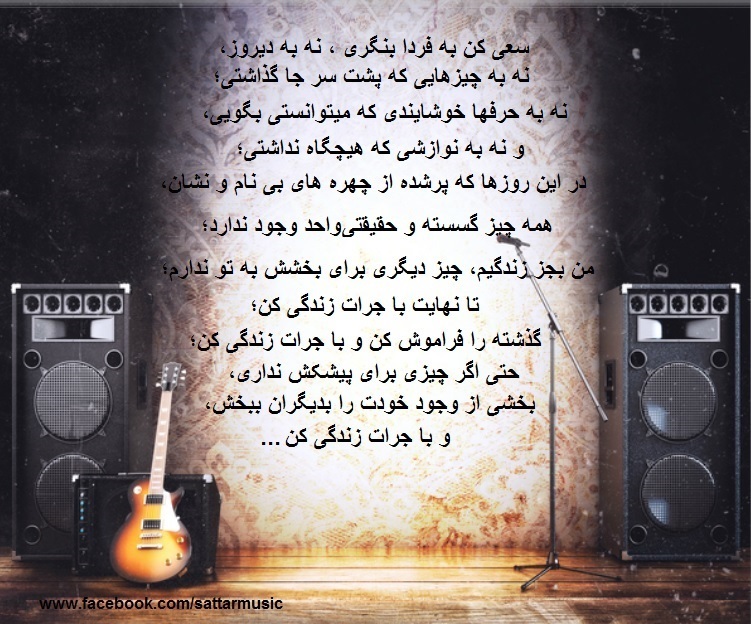 True friends are those who never trade or sacrifice truth with empty compliment and saying what’s popular! True friend always endeavour to highlight the good qualities in you and assist you to rectify your short comings along the way. There are some people who come and go but only a few leave their positive footprint in your lives for ever. Once someone told me, “Friends are like clock’s hands, sometimes they meet, but they are always together”. It is simply true that “one enemy is too many , while having thousands of friends is never enough”. So, let’s treasure our friendship. Let us not forget that for maintain our friendship, some times we should make sacrifices or compromises and that is a key. 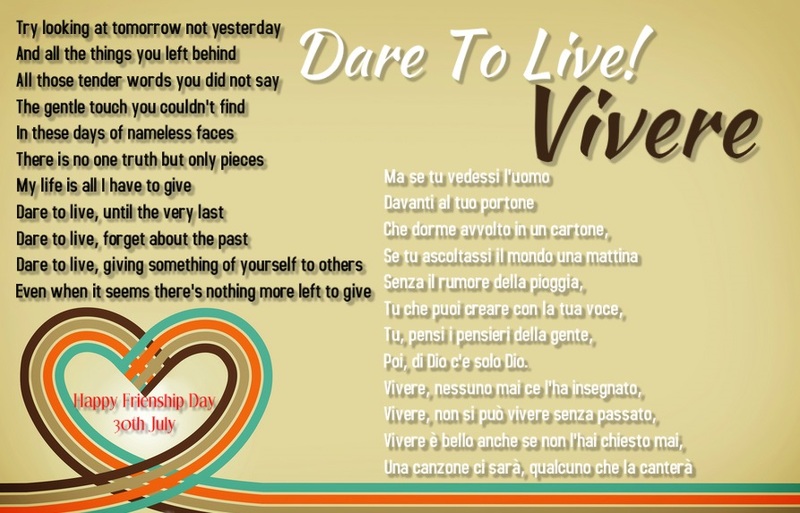 Hereby I congratulate the forthcoming ‘International Day of Friendship’ and to celebrate that, hereby Carolina and I dedicate our duet, ‘Dare To Live (Vivere) to you all dear friends and fans.